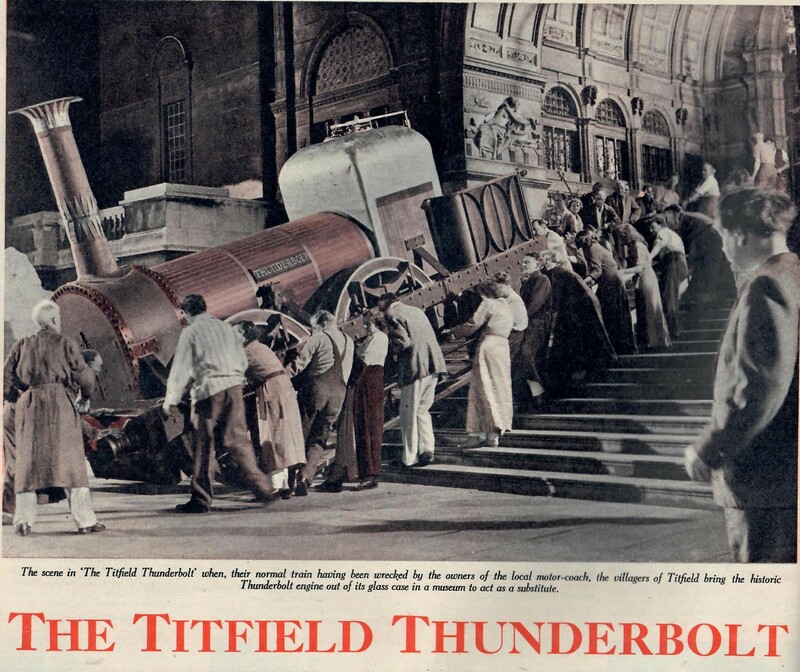 The TitfieldThunderbolt is a film loved by all cinemagoers and genuine film fans. These pictures appeared in the Everybody’s Magazine dated 11 October 1952 with quite a long article on the film and its making. 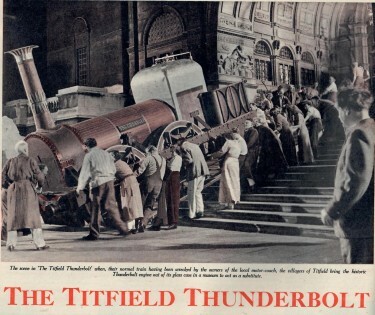 The pictures seem to have a pinkish tinted look although this film was in Technicolor and the Magazine itself has some very impressive bright colour advertisements. I have purchased a lot of these Magazines which are fascinating with quite a bit of film interest which no doubt will make its way onto this Films Of The Fifties Site. 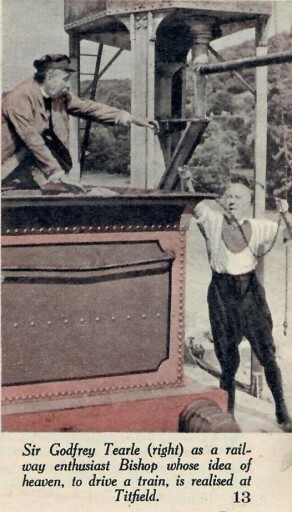 A Scene from the Film Above – the caption refers to the Scene above this one. 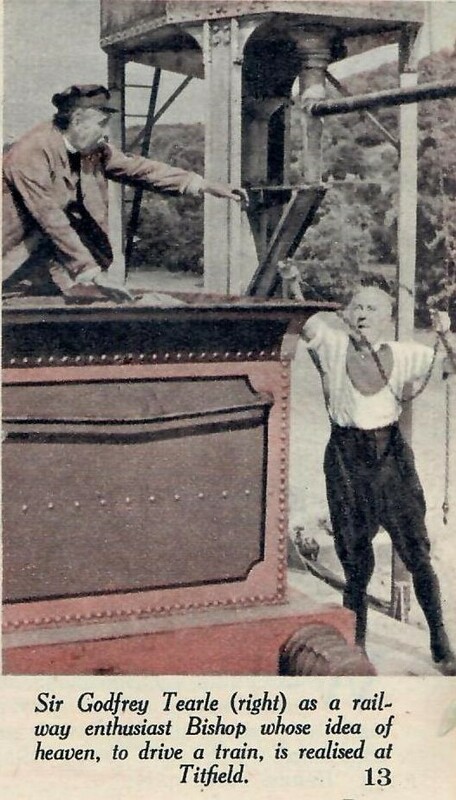 The Above Scene has two of the villains, Pearce and Crump, who have a Steam Roller which they make use of the attempt to wreck Titfield’s original train and so cause the villagers to be dependent on their Motor Coach. 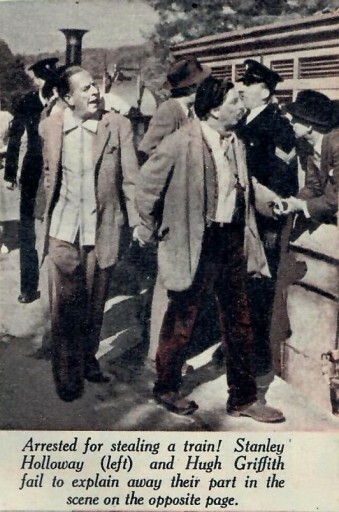 A Scene from the Film Above. 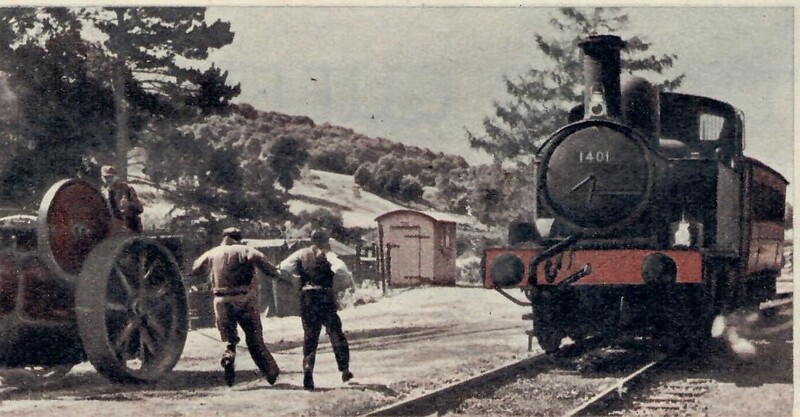 The filming around the village on Monckton Combe ( Titfield) on the single track line from Camerton to Limpley Stoke took around eight weeks during which time three villages in all were used as Titfield. 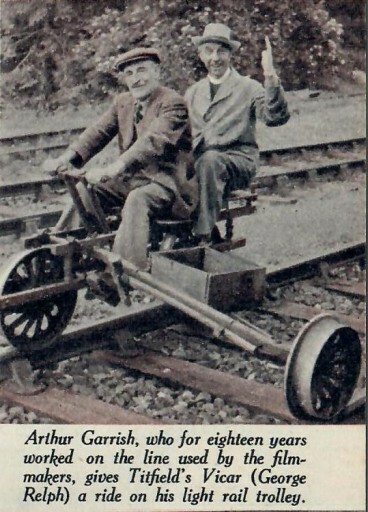 Arthur Garrish ( 64 years old) who is pictured above – worked on this line for 18 years – through the War years – but the line had recently closed. 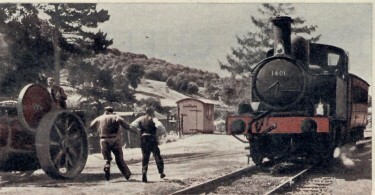 This was because the line itself had served Camerton Colliery and it had just been closed as the coal seam had run out. Arthur had seen the filming of The Ghost Train before the War again at Monckton Combe, so he knew what film making was all about.